Google's next Nexus handset - allegedly called Nexus X, not Nexus 6 - will reportedly launch to the public running Google's next big mobile update, Android L, according to the phone's alleged benchmarks posted by TKTechNews (via BGR's Chris Smith). Thing is, the alleged benchmarks don't list Android L. The "Nexus X from Google" is running "Android 5.0." Google has never confirmed the major changes coming in Android L as "Android 5.0," but if these images and benchmarks are indeed legitimate, Android will finally move from Android 4.x, which has existed since Android 4.0 Ice Cream Sandwich first arrived in October 2011. You can learn more about Android L, especially its new Material Design, here. A separate report said Google will eventually rename Android L, which means Android 5.0 could be named "Lolipop." As for the phone's AnTuTu benchmarks, which are the most popular benchmarks used to test all aspects of Android devices, we might see the Nexus X release with a 2.7 GHz quad-core Qualcomm Snapdragon 805 processor, 3 GB of RAM, a 13-megapixel camera, a 2K display, and 32 GB of storage standard. 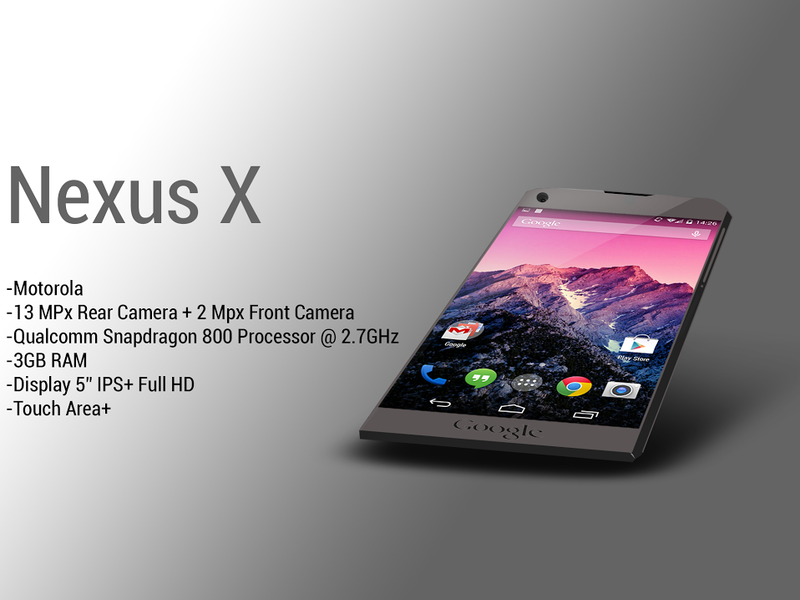 According to previous reports from Phone Arena and TKTechNews, the Nexus X may feature a 5.7-inch or 6.3-inch screen to house that 2K display, and the phone may start shipping around October starting at a whopping $499 with a two-year contract.